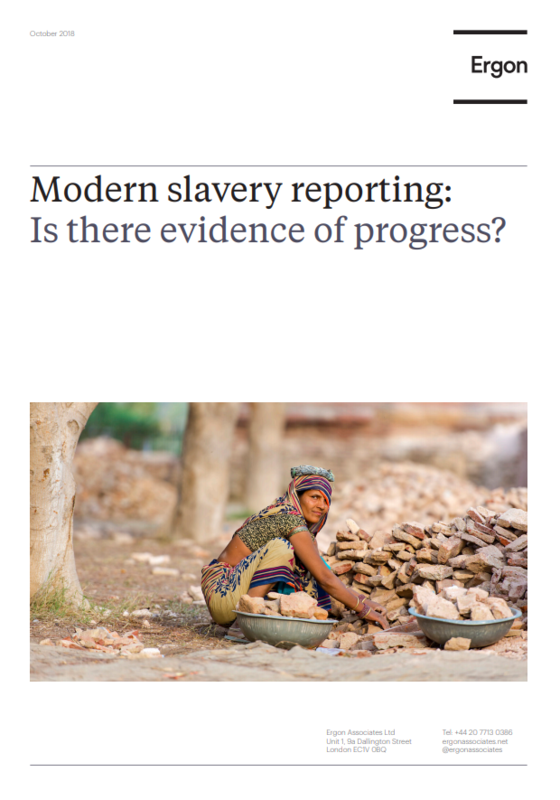 Resource Centre > Uncategorized > Modern slavery reporting: Is there evidence of progress? string(1119) "Resource Centre > Uncategorized > Modern slavery reporting: Is there evidence of progress?" This analysis of modern slavery statements focuses on changes in reporting and practice in addressing forced labour and human trafficking. Under the UK Modern Slavery Act 2015, companies with a financial turnover of over £36m must make an annual statement on their efforts to combat modern slavery. However, from a cohort of 150 companies last analysed in April 2017, only 81 companies or 54% have produced a subsequent statement. As there is no official monitoring or enforcement mechanism, companies that do not produce new statements face little by way of sanctions. Among the 81 companies that produced an updated statement, 58% incorporated substantial changes, but a significant minority (42%) made no changes or only minimal changes. This suggests that many companies are not applying a continuous improvement approach to developing reporting of their activities to counter modern slavery.